Have you ever made a thaumatrope? 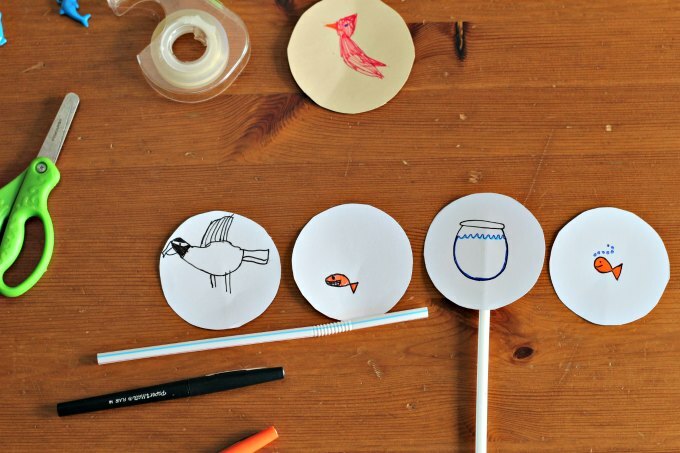 It’s an easy way to combine science learning with a bit of craftiness. I’m a pushover for old school DIY toys, especially the ones I remember making when I was a kid. 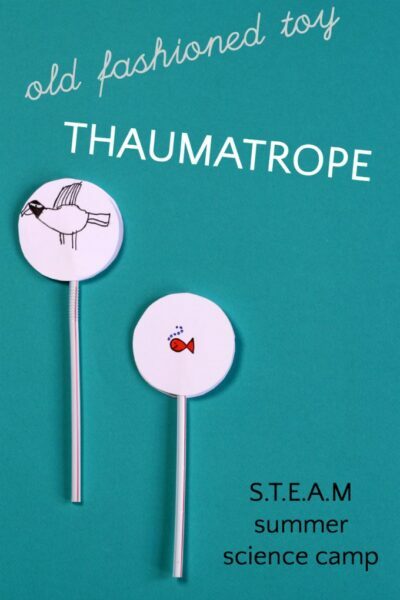 A thaumatrope is a groovy, optical toy that teaches kids about “persistence of vision”. Sounds fancy, right? It’s really just about visual perception and creating the illusion of motion because the eye can retain an image for roughly 1/20 of a second after the object is gone. So the next time your kids whine, “I’m booooooored!!!! 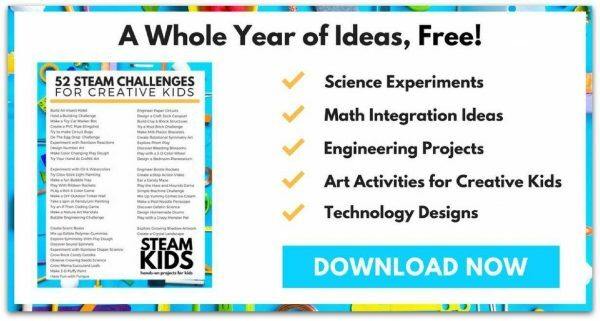 !” challenge their scientific and design minds to create a few thaumatropes. My kids have really been digging the thaumatropes we made this week. Thaumatropes are traditionally made by drawing complementary images on two sides of a disc. A string is then threaded through each end so when the disc is spun, the two images appear as one. We made a slightly different version which is easier for little hands to manipulate: thaumatrope on a stick. 1. Trace and cut out two identical circles. 2. Draw two images which “go together.” (You can find templates out there, but it is much more satisfying to draw your own!) My son created an osprey on one side and a fish on the other so that the spinning image would look like an osprey was carrying the fish. (Not to brag or anything — well, okay I am bragging — but I thought that was a pretty awesome idea.) I created the classic “goldfish in the bowl” with a fish on one side and a bowl on the other. My 6 year old wanted dueling lightsabers. The possibilities are endless. TIP: To align the drawings, stack the paper circles and press hard with a pencil around the outline of the first image. The image impression will be on the 2nd circle and kids can easily align the images appropriately. 3. 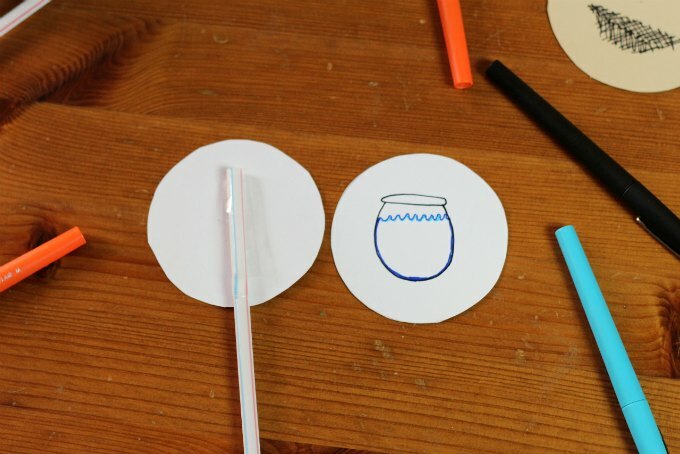 Place a piece of double sided tape on the straw and apply the first paper circle. Flip over and apply second piece of tape. Carefully align the images back to back and press to secure. 4. Hold the straw between two palms and spin!!! Watch ours in action! Fun fact: Thaumatrope means “wonder turner”. 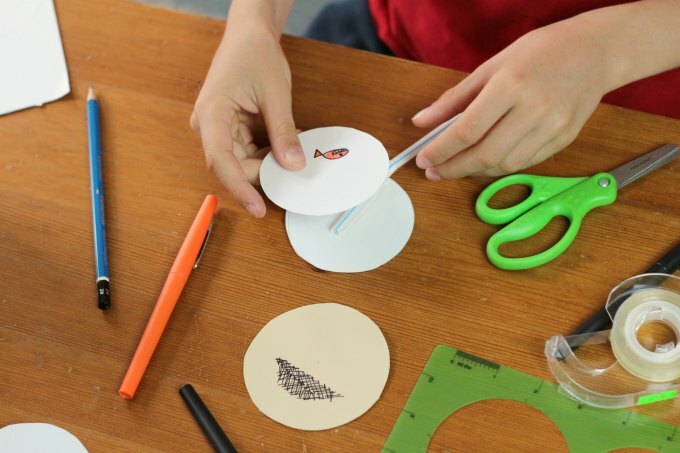 Make a zoetrope. My older son put together a zoetrope in one of his recent Tinker Crate kits. A zoetrope is an early animation machine. A similar spinning toy is a whirlygig. The Craft Train has a fun printable and instructions. Steve Spangler has a tutorial for a disappearing color wheel spinning toy. 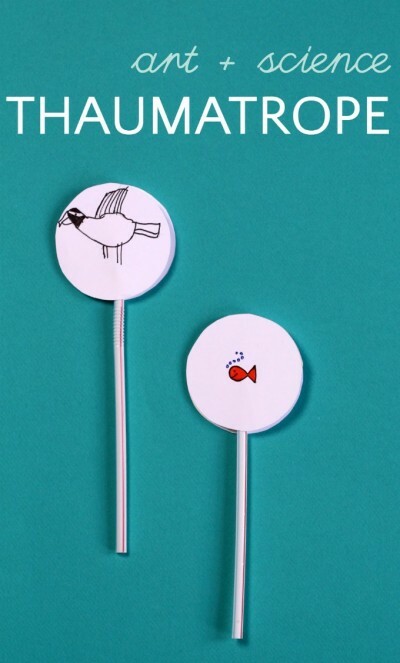 Babble Dabble Do has a thaumatrope valentine with printable template and instructions. This post is the first in a Summer S.T.E.A.M. Camp. The S.T.E.A.M. Power team is back and this summer the theme is the “5 senses.” This week we are focusing (hahahah pun!!) on SIGHT. Up next week: TOUCH. Want more easy ways to entertain your kids plus our weekly book list? Sign up for our newsletter. Do I have some book recommendations to go with this project? Why yes, I do! We love Thaumatropes!!!!! Such a fun and classic toy that astutely irresistible! Such a simple craft that has a bit of science and art! Love it. Thanks! It’s so nice to have simple ideas on hand.